Goddess Saraswati Maa is the Hindu goddess of knowledge, music, art, wisdom, and learning. We all worship Saraswati Maa for wisdom and Knowledge. Goddess Saraswati Maa is one among the trinity (Tridevi) of Saraswati, Lakshmi, and Parvati. There are many people who worship Saraswati Maa and also paste her posters and drawings in their study places. If you are also willing to know “How to draw Goddess Saraswati Maa pencil drawing step by step?” then you must check this tutorial. Here we have given detailed and step by step instructions on completing the Goddess Saraswati Maa pencil drawing. Along with that we have also given some lesser known facts about Saraswati Maa. Symbolic animal of Saraswati Maa is Peacock. According to the Rigveda, Saraswati is a river and also a Goddess of Knowledge, arts, and music. The Four arms of Maa Saraswati show four humanity aspects as mind, intellect, alertness, and ego. in order to worship the Goddess Saraswati many people use to draw their pictures on their own. If you are a fresher and don’t know how to complete Maa Saraswati Drawing easily then this tutorial will guide you in the right way. 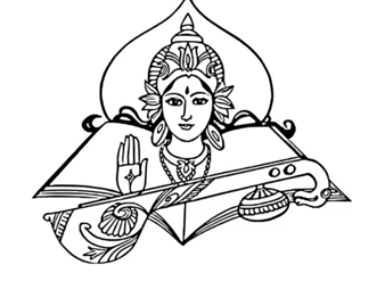 With the help of this tutorial, you will get to know about the easy and perfect instructions to complete the Saraswati Maa Drawing. Once you hit the Tutorial link, you will be redirected towards a new page having the Video illustrating the steps. You need to watch the whole tutorial until the end; otherwise, you will not be able to understand the procedure to complete Maa Saraswati Drawing completely. After watching the video, if you wish to share your views with us then you can share them by writing in the comment box given below.